Because many people get time off over Christmas, we often get asked by our readers if trekking to Machu Picchu in December is a good idea. Therefore, we thought we would put together a quick article in response to this question to help all our readers decide for themselves. The first point to be made clear is that both the Inca Trail and Machu Picchu are open during December. In fact, Machu Picchu remains open all year-round and the Inca Trail is only closed in February for yearly repairs. Therefore, hiking to Machu Picchu in December is certainly an option. Don’t panic if you can only go in February as there are plenty of other trekking routes to Machu Picchu that remain open during this period such as the Lares or Vilcabamba trails. Trekking to Machu Picchu in December becomes a bit of a gamble when you consider the weather. December is the wet season in Peru and rain certainly prevails throughout December. The rain is not torrential though and it’s usually just a drizzle that occurs for a few hours a day. That being said, some days are totally clear. If you’re not the rainy type person then trekking to Machu Picchu in December may not be the best option for you. If you do decide to trek to Machu Picchu in December then bringing a lightweight rain poncho to go over your clothes and day pack is highly recommended. Cloud cover is also a factor you need to consider. Photographers generally avoid the wet season in Machu Picchu like the plague because more often than not, cloud cover obscures the best views. Once again though, this is not always the case and some days (and occasionally weeks) will be crystal clear with stunning vistas. The ruins of Machu Picchu are often shrouded in cloud and this is certainly not the best way to see the ancient citadel in all its glory. Another consideration when trekking to Machu Picchu in December is the trails themselves. These will be water logged and often extremely muddy. The Inca Trail is often steep and gets quite slippery when the mud thickens. The mud is never extremely deep however, and there are usually ways around it. You may want to bring some gaiters with you though. 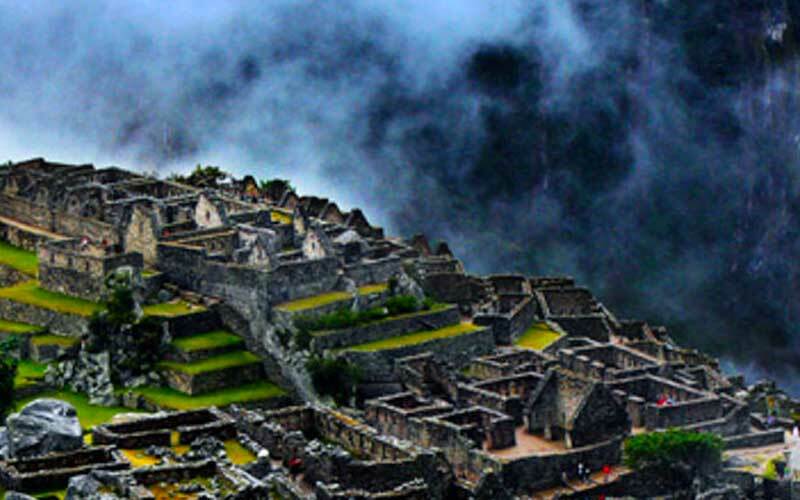 Because December is in the wet season, crowd levels on the Inca Trail and Machu Picchu drop considerably. Over a million tourists visited the ancient ruins last year. With so many tourists, the trail and city can sometimes become quite hectic. This often detracts from the overall experience and takes away the magical element that should surround Machu Picchu. The chances of having a more relaxed trek are far higher in December. Whilst most photographers prefer the dry season for clear shots, I personally prefer photographing Machu Picchu during the wet season. Taking shots when there is low cloud surrounding the city is a great way to add atmosphere to the picture, particularly if the sun is poking through in areas. Most people though want the classic bird’s eye clear shot. Shooting in the wet season does have some drawbacks of course. Often the ruins are completely covered and the rain means you’ll need a weather proof camera. It’s certainly possible to trek to Machu Picchu in December. You simply need to weigh up how well you will cope with a bit of rain and mud. The trails will be far less crowded and you’ll have many sections of the ancient ruins to yourself (depending on what time of the day you arrive). Crowd cover is an issue, especially for keen photographers, but you will more than likely get one clear day in which to take photos. The rain and cloud certainly add atmosphere to the whole experience! Bear in mind that permits need to be booked early for the Inca Trail, even in the wet season. 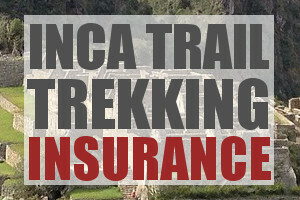 Click here to find out more information on Inca Trail permits. 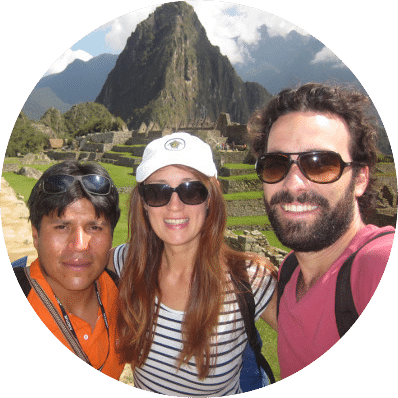 If you have any further question or queries regarding trekking to Machu Picchu in December please just leave a note below and we’ll respond within 24 hours. Hi Cadence, most treks to Machu Picchu take 4 days, there are some slightly longer routes like the Choquequirao and Vilcabamba, and a few shorter routes like the Short Inca Trail. All the best! Hi Alonso, temperatures during the day can be very temperate, but early mornings and evenings are cold. Make sure you have a warm sleeping bag and layered clothing to layer up in the eves. Hope this helps! You said it gets cold in the evenings in December on the 4 day hike to MP. Trying to decide how much warm clothes to take because I will also do 2 days in the Amazon and I think that is suppose to be very hot and humid. Great!!! I really enjoy to read this blog. Thanks for sharing this blog. Hi Mark, Thanks for the blog. This is super informative. We are planning our trek sometime in December. Had a quick question. If my wife (46) and daughter (12) cannot make it trekking, are there any alternative modes of transport to get them to Machu Pichu?